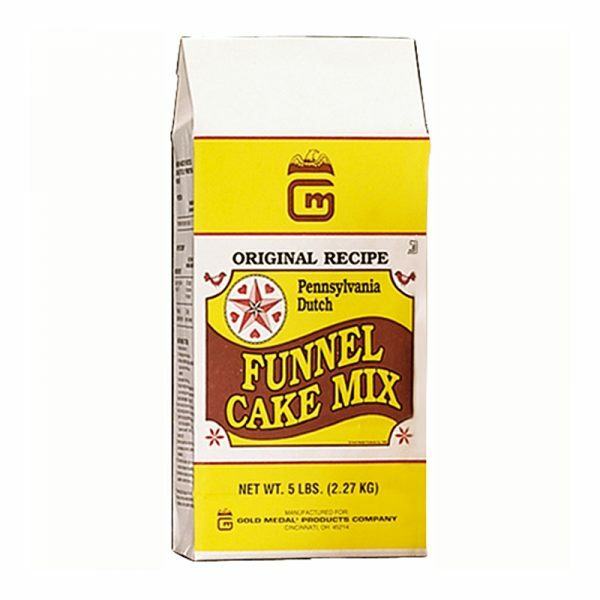 #5100 Pennsylvania Dutch Wholesale Funnel Cake Mix | Pronto Pup Co., Inc. The Gold Medal “original recipe” Pennsylvania Dutch Funnel Cake Mix has become the favorite Funnel Cake Mix of the professional operator. Order individual bags or by the convienient 6 – 5 lb bag case. Lower grease absorption. One case will yield approx. 240 – 8″ Funnel Cakes. For multiple case orders, call 503 244-9421 for freight quotes.